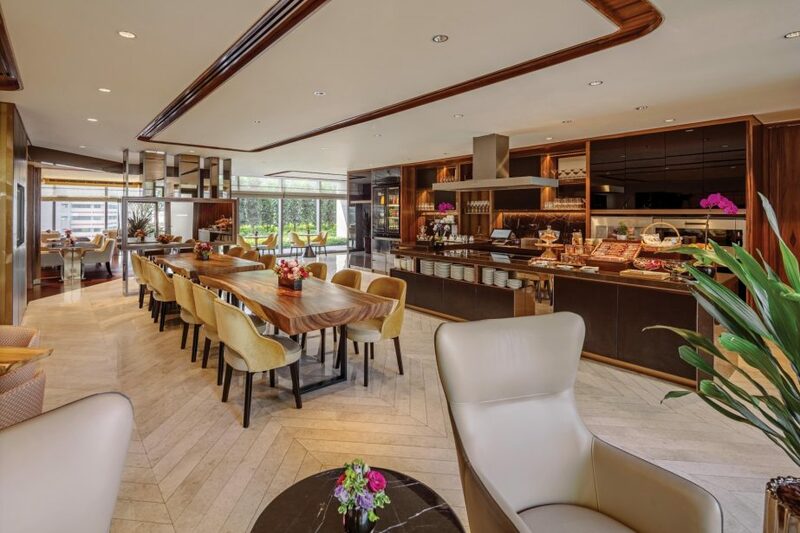 Step into a world of refinement, where relaxation reigns and culinary delights abound. Let the superb cuisine and extensive list of wines, cocktails and beers from around the world inspire you as the sights and sounds of the open kitchen fete the senses. Either for unhurried and delightful breakfast or a relaxing dinner, Club Millésime welcomes you throughout the day. Come evening, the Apéro Chic cocktail hour features a luxurious selection of canapés, cold cuts and cheeses. It is the perfect way to transition from work to play in Singapore’s pulsating Tanjong Pagar district. Club Millesime is strictly for guests aged 12 and above.